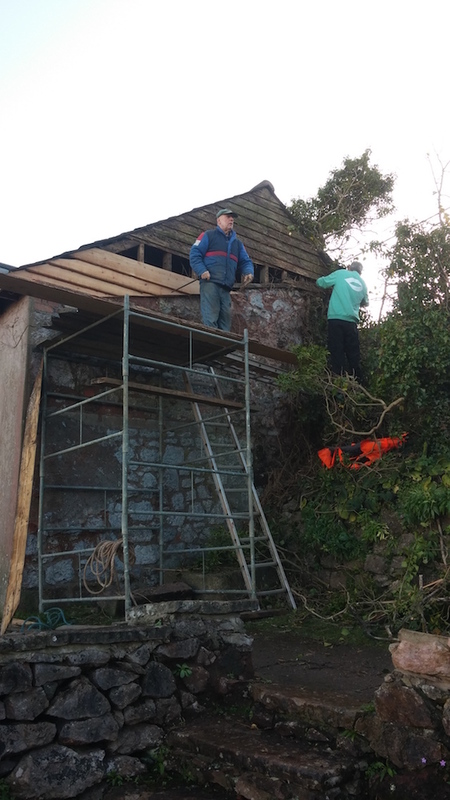 You don’t have to be a gardener to volunteer, look what happens when you mention your carpentry skills … the Gardener’s Hut, being repaired by Tony with help from Gary and a kind donation towards the cost of materials being made by a Shaldon family. 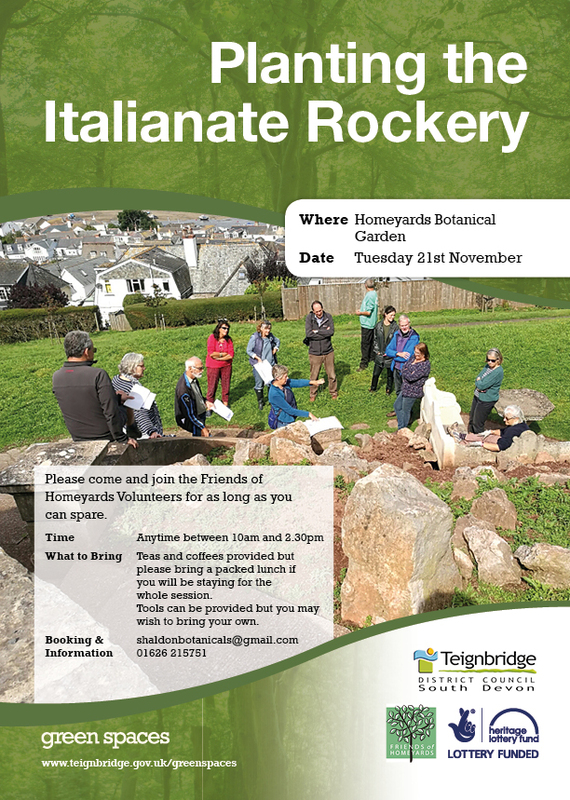 We will soon take delivery of hundreds of plants for the Italian Garden rockeries and we have scheduled Tuesday 21st November for planting them out. If anyone can spare a few hours to come and help it would wonderful. If you are able to assist then bring a packed lunch, the Castle with its kitchen and toilet facilities will be open all day for our benefit. Then 2 days later, on the afternoon of Thursday 23rd November, we have TV presenter and professional gardener Frances Tophill together with a group of Marines from the Hasler Naval Recovery Centre in Plymouth coming to work on the Gardens. The area alongside the Pond Path linking the big pond with the new car park is their target area. Frances is working on a planting scheme for the area but first there’s a considerable amount of clearance work to tackle as the area has been overgrown for many years. If any of you are able to come along on Thursday afternoon from about 2pm you’d be very welcome to join the Marines in this task. Again, the Castle will be open for afternoon tea. A remarkable photo which we’ve dated to 1935 has come to light, it shows the progress of Homeyards developments. The 8 Hamiltons houses are in place, there’s clearly building work on the terraced row of Homeyards cottages and Broadlands has yet to be created. In the Gardens the Castle and pond and rill system are visible, as is the grotto or Witches Cave. The Gardeners Hut shows up below the Torquay Road but works to create the Italian Garden area have not been started.